The First World War affected Canada and Canadians in profound and lasting ways. However, much of the scholarship has focused on the war from a national perspective. 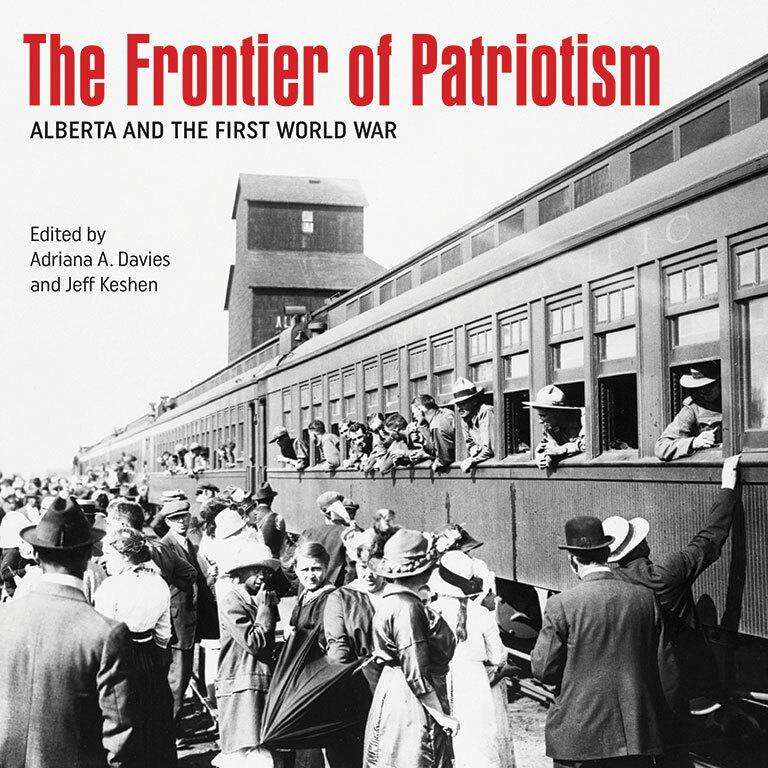 In The Frontier of Patriotism: Alberta and the First World War, co-editors Adriana A. Davies and Jeff Keshen have created a compelling collection of essays that provides a more regional view of the Great War, illustrating in great detail the many ways it changed Alberta and Albertans. Davies, a researcher, writer, and former executive director of the Alberta Museums Association, and Keshen, the dean of arts at Calgary’s Mount Royal University, recruited forty academic and popular historians to write essays on topics such as conscientious objectors, “enemy aliens,” First Nations, labour, women, and wartime chaplains. The experiences of Alberta soldiers are explored, as is the impact of Spanish flu, which infected thousands of Canadians at the tail end of the war. The essays are accompanied by a wealth of archival photographs, wartime postcards, and other illustrations. A detailed timeline of the war from an Albertan context is a welcome addition, as is a map of the Western Front that helps to place the war in its geographical context. While many of the essays are written in an academic tone, they are still easily accessible to lay readers. The Frontier of Patriotism is a terrific addition to scholarship on the Great War and a welcome companion to the many broader histories that have previously been written. Book Review: Those who have been overshadowed — the intellectual predecessors to the Quiet Revolution — include Éva Circé-Côté, the subject of Lévesque’s 2010 book that has now been translated into English.